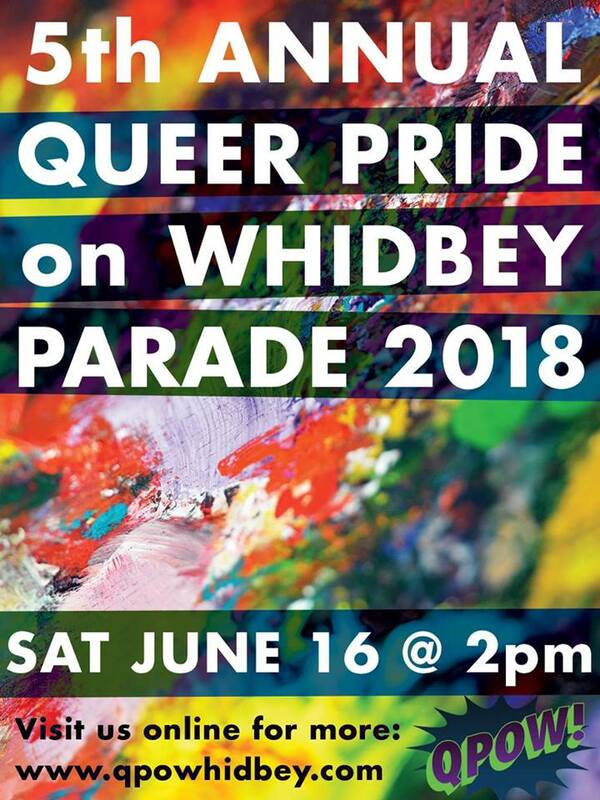 Save the Date for The Queer Pride on Whidbey Parade and Welcome Them To The CN! Family — CascadiaNow! CascadiaNow! is excited to announce that Queer Pride on Whidbey (QPoW) has joined our nonprofit family as a new fiscally sponsored project! Our Board of Directors unanimously voted to support this awesome project and now QPoW is gearing up for their 5th annual Pride Parade - this year under the CN! non-profit umbrella! The 2018 Pride Parade will be held on Saturday, June 16th in the city of Langley. QPoW's parade is always free to attend and participate! This is a volunteer-powered festival made possible by the generous support of the community. QPoW is dedicated to bringing awareness, enrichment, and celebration of the LGBTQ+ community to Whidbey Island. Please join all of us here at CN! in welcoming this awesome project to the family.